A former President of Nigeria has asked Nigerians to keep faith alive concerning the possibility of Nigeria overcoming its challengers. 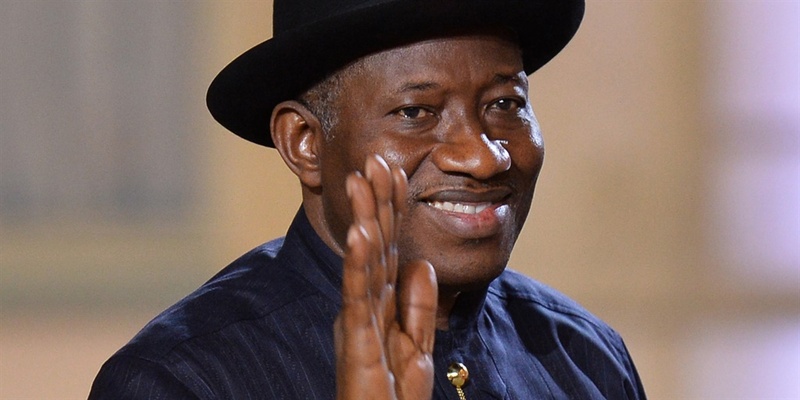 It is Easter season and the former President of Nigeria, Goodluck Jonathan, has made a demand from Nigerians. In an Easter message posted on his Facebook page, Dr. Jonathan stressed that it was “a time we celebrate the resurrection of our Lord and Savior, Jesus Christ, who died for the sin of the world”. But he also knows that Nigeria still has a deluge of national challenges that need to be addressed to give Nigerians full dividend of democracy and a country of their dream. If you want to see the Nigeria they dream of, however, the former President wants them to do something very important. "In this season where we mark renaissance, I believe and expect Nigeria to rise and overcome her national challenges because our shared experiences are bringing us to the conclusion that no matter what the forces of evil can do, we as Nigerians, united in doing good, can and will prevail. "I urge all Nigerians, even if we feel that we are not in a position to do much to help Nigeria to overcome, let us at least believe that she will overcome. "That is a lot. That is a lot. Happy Easter,” he further wrote. It is not clear if the former President has returned from Sierra Leone where he travelled to for the nation’s presidential run-off election that has been affected by different court rulings. Nigeria's challenges are enormous and they are gradually consuming the nation that many nations of the earth have described as a nation with great potentials. The nation has individuals that are great toping their fields in every country they are, but the dream of a giant of Africa gets bleaker by the day. From an education system that cannot match international standard and everything in between to insecurity built around religious sentiments and beliefs and the nation has continued to search for leaders that will deliver Nigeria from corrupt men that have held on to power for ages. True leadership is always interested in leading to change the social environment and not make them hard for Nigerians. The individual must not at any time support any process that gives continuance to injustice. Leaders set people free. He or she must be interested in helping Nigerians see that there is no limit to what they can become through the development of the education sector to give them knowledge. They help people grow and achieve greatness. They are always ready to serve humanity with a vision and a course that improves other peoples lives. These principles, according to Myles Munroe, makes an individual a leader.